The NFL Offseason officially begins next week in Indianapolis at the NFL Combine – you know, the only interview done in tights and briefs. Despite their 15-1 regular season record, the Packers have plenty of positions they could use upgrades – basically anywhere on defense! While you’re watching highlights, reading updates, or listening to the talking heads (don’t try lying to yourself, we all know we are going to be doing this, even though we’d like to deny this fact), here are a few players Packers fans should keep their eyes on. And these are intended not to be the obvious candidates that would be great picks if they fell to us. Vinny Curry – Curry is a fringe 1st-rd. pick according to the experts on the ole interweb, and a player not many people have heard of. Curry is a DE/OLB hybrid from Marshall. He’s 6’4″, 260+ lbs., and apparently is a “refined pass-rusher,” according to Mel Kiper’s Hair. He posted 23 sacks the past two seasons. Other reports indicate he has some real speed off the edge and has been compared to Cameron Wake. 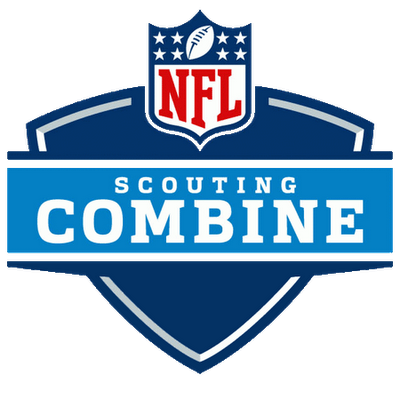 The Combine will be important to show off his athleticism and whether he has the ability to make the conversion to OLB. Whitney Mercilus – Again, a DE/OLB hybrid out of Illinois. He led the nation in sacks (16) and forced fumbles (9) last season. Clearly, a player of this ability would be nice opposite the Claymaker. But, Mercilus screams one-hit wonder (think Vernon Gholston). In 2009 to 2010, he recorded 24 tackles and 2 sacks… total. The Combine will be the perfect place for him to display his athleticism, and his value will likely shoot up too high for the Packers selection. And for the record, a report has compared him favorably to Jason Paul-Pierre. Dont’a Hightower – Hightower was the catalyst for the best defense in college last season (and perhaps the last decade-plus). He is an absolute beast ILB and would be the ideal replacement for A.J. “T-Rex Arms” Hawk. I was very pleased with D.J. Smith’s performance last season, but at this point, let’s get the best players available and sort out where each player will play later. Who knows, if Smith improves and we grabbed Hightower, moving Bishop to OLB might be a possibility. But I digress. Hightower is a thumper. Reports seem to indicate that he may be a tad bit slower than some would like. If this is true – i.e. he doesn’t test out well at the Combine – he could fall into TT’s lap, and would be a coup for the Pack. In addition to these few specific players to watch for, there are a number of very good DE prospects to look for at the end of the 1st rd. : Fletcher Cox (Miss. St.), Jerel Worthy (Mich. St.), and Devon Still (PSU). In the secondary, look for Mark Barron (S – Alabama), Janoris Jenkins (CB – N. Alabama), and a second-rd. prospect in Trumaine Johnson (DB – Montana). Regarding T. Johnson, allegedly he’s a big and athletic guy that looks the part, but has some mental shortcomings – i.e. he’s a mental midget and may be quite fond of himself. His interview will go a long way in how high he climbs on the draft board. In order to win one for the thumb, the Packers need to desperately upgrade several positions in its defense. As we know, TT is averse to upgrading the roster through free agency (to put it mildly). Hitting on their first several picks in the upcoming draft is crucial. The NFL Combine is where this process begins. This entry was posted in Vikes v. Pack and tagged AJ Hawk, Bryan Bulaga, Cameron Wake, Clay Matthews, Claymaker, Combine, D.J. Smith, Desmond Bishop, Devon Still, Dont'a Hightower, Fletcher Cox, Green Bay Packers, Hybrid, Janoris Jenkins, Jason Paul-Pierre, Jerel Worthy, Mark Barron, Mike McCarthy, NFL Combine, Nick Perry, OLB, Packers, Ted Thompson, Trumaine Johnson, TT, USC, Vernon Gholston, Vinny Curry, Whitney Mercilus. Bookmark the permalink.